Looking to expand your wardrobe? Now is your chance! Easton IMA Sportswear will be available for purchase at the First Flags Event on Wednesday, October 3 (Rain date October 4). Not able to attend? No worries! You can purchase your Rover red sportswear by going to the Forms and Fundraisers tab and clicking on the IMA Sportswear link. We are looking for prize donations for the Treasure Hunt Winners at the First Flags Festival taking place on Wednesday, October 3 (Rain date Thursday, October 4). Prizes can be in the form of gift cards or small prizes that range from in value from $5-$15. Please text/call Jen Martellucci 610-442-6031 or email eahsmusic@gmail.com if you are able to donate. All prizes need to be delivered to Jen by Friday, September 28. Thanks for your support! The rehearsal time for Thursday, September 27, will be from 5 pm – 7 pm. 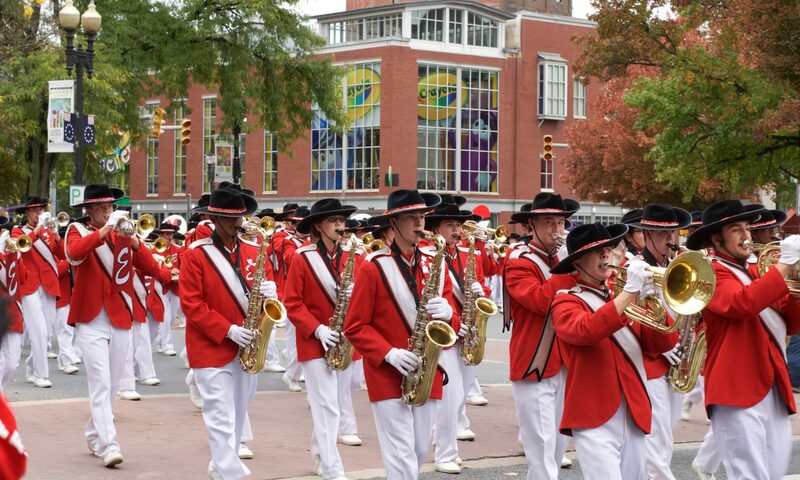 This change is so members of the 8th grade band can practice with the Easton High School marching band. 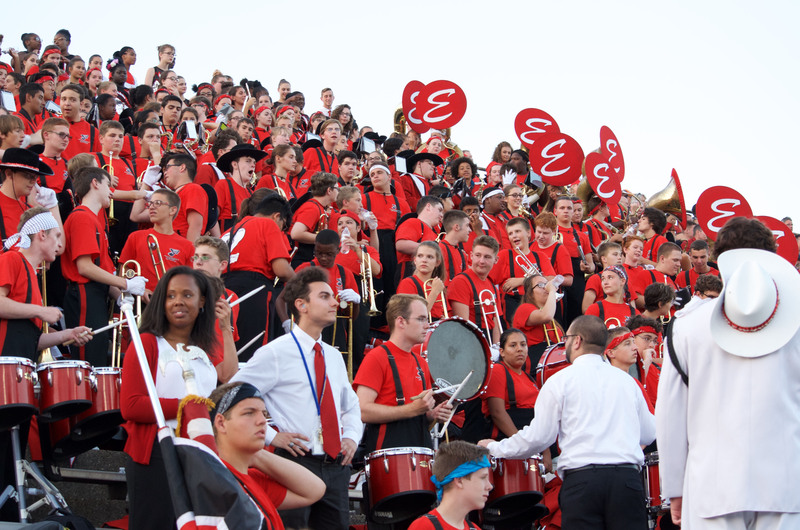 The Friday, September 28, home game is 8th grade band night (and PINK OUT!). We welcome the 8th graders and their families to our Easton High School marching band family! 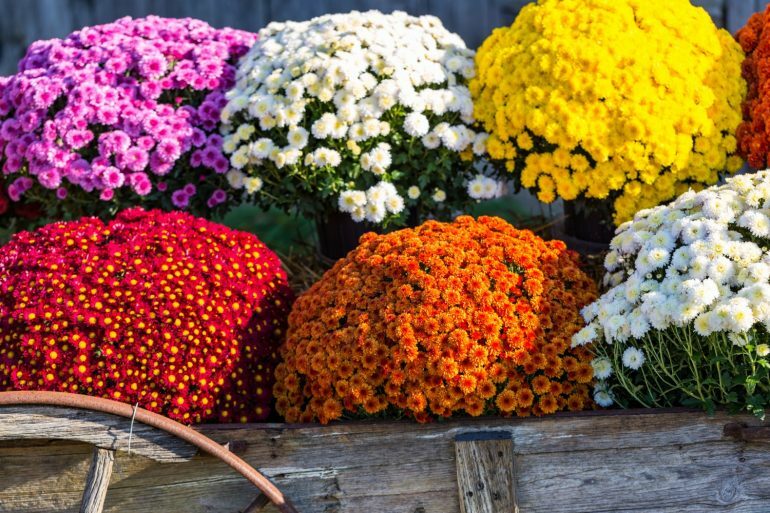 It’s almost fall y’all and mums need to be picked up this Saturday, September 22, from 9 am – 10:30 am in the high school gym parking lot. Please be prompt! If you are unable to pick-up your order, please send someone else. We are UNABLE to store flowers. PLEASE DO NOT SEND INDIVIDUALS ON SATURDAY TO PICK UP THEIR MUMS FROM YOUR BAND STUDENT’S ORDER. THIS CAUSES TOO MUCH CONFUSION. It is your responsibility to pick up the order, and then distribute once you get the mums home. We are looking for parent volunteers to help sort and distribute the mums, and assist our band student volunteers. The time for volunteers to report is 7:15 am. Please email Judy at hambletonjudy@gmail.com or text to 610-428-5334 if you can lend a hand.